Select Harvests is one of Australia's largest almond growers and the country’s leading manufacturer, processor and marketer of nut products, health snacks and muesli to the Australian retail and industrial markets, in addition to exporting almonds globally. Located in Victoria, South Australia and New South Wales their portfolio includes more than 4,000 hectares (10,000 acres) of company owned, leased and joint venture almond orchards. Select Harvests utlilise a state-of-the-art processing facility at Carina West in north-west Victoria and processing facility at Thomastown in the Northern Suburbs of Melbourne. With their processing facilities, they have the capacity to process 22,000 metric tonnes of almonds in the peak season. 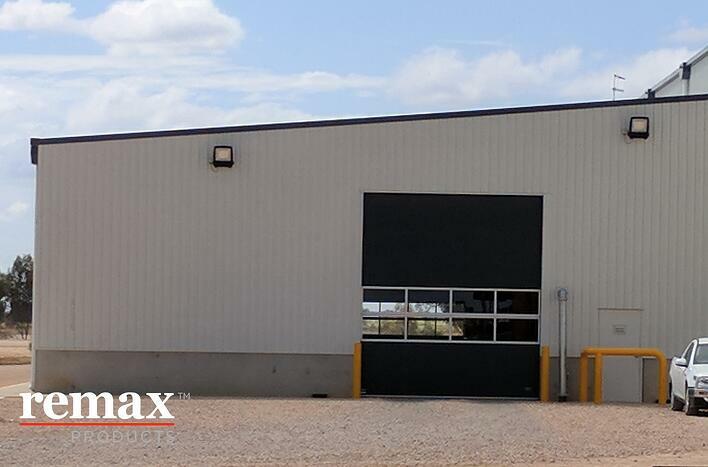 Remax have been working with the team at Select Harvests for a few years and the team at Select Harvests have installed a number of both Movidor Rapid Doors and Compact Sectional Doors at their site in Victoria. 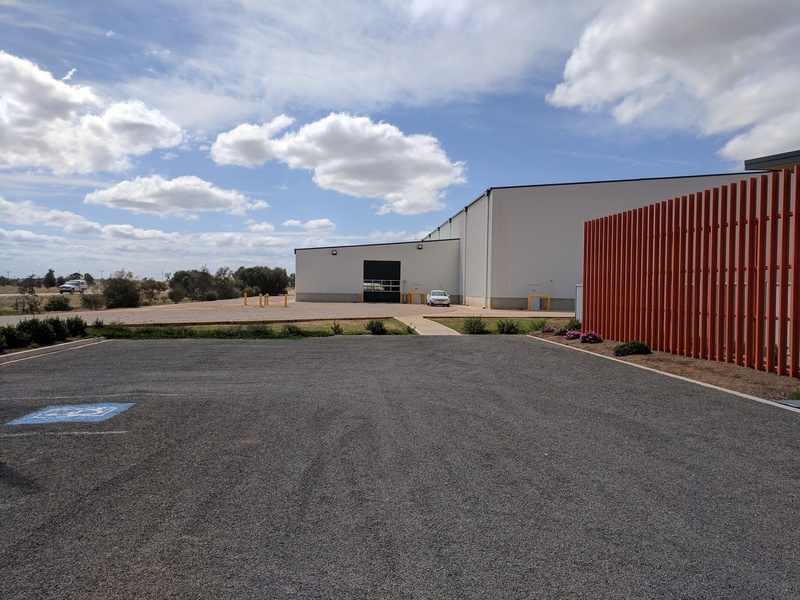 Around eight or so Movidor Rapid Doors have been installed and two Compact Doors serve the Select Harvests' team and their busy site which was an existing site with a new building on it, to process almonds. The Movidor Rapid Doors are predominantly installed as internal access doors and range in size, averaging 3985mmH x 3500mmW. The site required quick access doors opening at 2 meters per second, with heavy duty gearbox, push button activation, and one row of vision windows. The Select Harvests team chose the colour 'Blue 560' for all their rapid doors onsite, to complement each other and to fit in the overall look of the new site. Movidor Rapid Doors are effective in a busy environment where multiple opening and closing is required throughout the day, providing minimal ongoing maintenance for the team due to the durability of the Rapid Doors as well as the Self-Repair Functionality which means that even if the Rapid Door happens to be knocked out of its guides, the door is able to relocate and in many cases, it will continue operating without a call-out or repair. The Compact Sectional Doors onsite were made to measure, measuring 4600mmH x 4000mmW, with our 40mm thick insulated panel segments in RAL 9002 colour with two levels of 4mm safety glass windows for vision and light through the building. Compact Sectional Folding Doors are suited to doorways where a bespoke entry is required, where the primary intention of having a sectional door is protection of the premises against unauthorized access and weather conditions. Furthermore, the daily activities and flow of goods are disrupted as little as possible. A unique advantage of the Compact Sectional Door is the compact design - where a site requires integration of the crane tracks or mechanical installations such as sprinkler systems and lighting without restricting the use of the building. The traditional overhead door opens above the access or across the ceiling making it is impossible to fit crane tracks here, for instance, but with the Compact Sectional Door, the panels of the folding door fold up above the door opening it saves space and therefore it is possible to install a range of equipment above the door opening without restricting use, not to mention providing an effective thermal barrier which a roller shutter would otherwise not match.